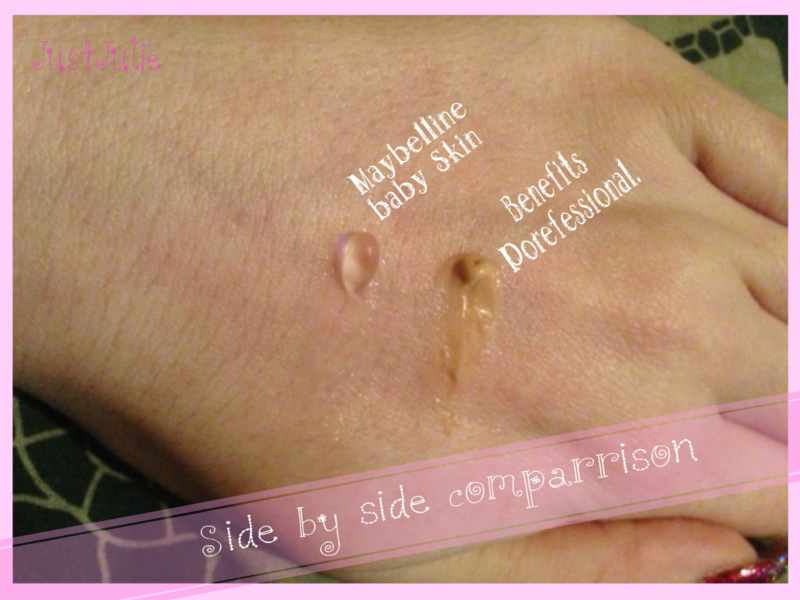 Maybelline Baby Skin THE REVIEW!!!! Ok so last week I posted a blog post about my excitement at discovering that Maybelline now sell a makeup base/pore eraser just HERE I was super excited to try this so the day after I found out about it I rushed to my local Boots and picked one up! In my head I thought it was going to be similar to Benefits Porefessional. Well it's not exactly the same. I was surprised that Baby skin was actually a clear like silicon gel, like I said I'd expected it to be the same as Porefessional which is a flesh colour silicon cream. Both are applied the same way, either under your makeup (after moisturising) or over the top, which is a less favoured choice for most. Like with the Porefessional I applied Baby Skin only on the areas I that I needed, the areas that my makeup can start to slip off and of course where I have open pores but if you suffer with really oily skin you could use this all over. It has a very velvety feeling to it, much like the Porefessional does but it takes a little longer to sink in to the skin. The first day of using it I hated it! But I realised that 1. I put too much on, 2. I didn't blend it in to my skin enough. 3. I applied my foundation immediately afterwards. So the next day I used less, really blended it in (but with using less it didn't take too much work) and I waited before applying my foundation to really allow it to sink into my skin. I tend to do my eye makeup before I apply foundation so I just popped it on just before I started my eyes! I noticed a big difference by doing this! Not only did my foundation go over my skin way more smoothly, but it actually did help minimise my pores immediately and my skin looked a lot smoother! My makeup didn't appear to be sliding off throughout the day like it had done the previous day. I've been using this every day since I bought it and I have to say after the slip up on the first day I'm really happy with it and for £7.99 you can't really go wrong! It's packaging is very cute and it's nice and compact too which is great as my makeup storage is currently over flowing! 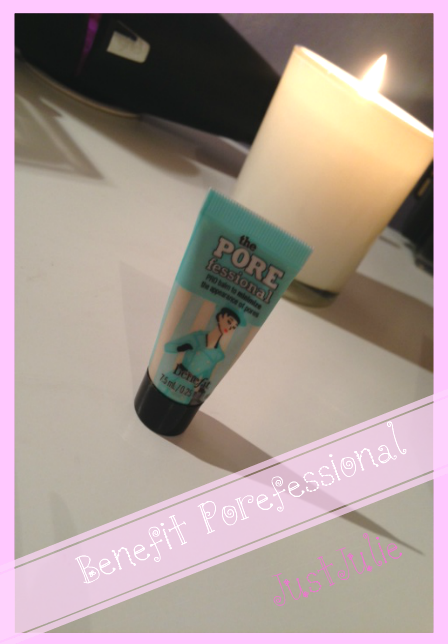 I would probably would repurchase this again instead of the Porefessional as it gives me the same results and considering that Porefessional costs £24.50 for 22ml and this is the same size and costs just £7.99 I'd be mad not to repurchase! I will stress again that you really don't need to use much of this, a little goes far and make sure you fully rub it in before applying foundation! Just a reminder!!! I'm considering buying the L'oreal Miracle blur next to see how that compares also. Has anyone else tried this yet? What are your thoughts?